Rosenqvists new unique batch frying system for potato chips. causing frequent fryer stops for cleaning. The internal oil flow system and continuous oil filtration system of our batch fryer ensures that all debris is collected outside the fryer pan. When the fryer is emptied after the fried batch - the Rosenqvist fryer has a unique system that ensues that every fried chip is leaving the fryer before the next frying cycle starts. The fryer is heated by an external therm oil heating system. By using this heating system the oil is not over heated and the vegetable oil is injected into the frying pan in multiple points with accurate precision to match the set temperature cycle of the batch. As the oil is heated outside the fryer pan, the pan is completely free from any piping, heat exchangers, etc. making it very easy to clean and avoids any possibilities for dirt collection inside the pan. The double agitation wagons are independently controllable over the PLC. 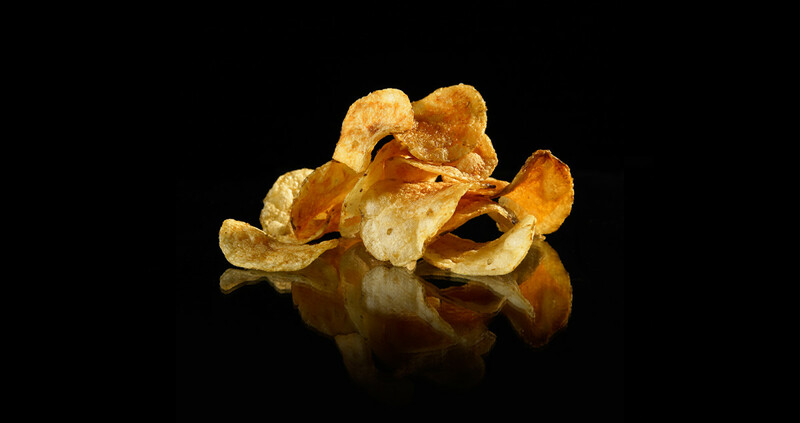 The criterias for every type of batch fried chips produced are stored in the recipe bank of the PLC.